The sway bar mounting plates are interchangeable front to rear and you can attach each mount in 4 variations to accomodate your truck's setup. 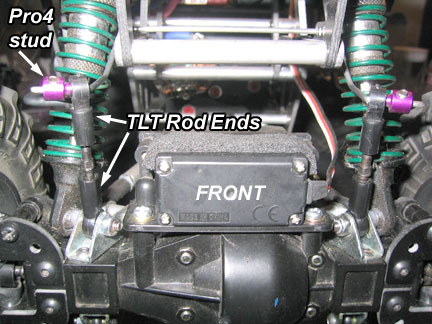 The sway bar mounting plates can be placed with the sway bar holes above the frame rail (as shown in photos 1 through 3), below the frame rail, toward the front of the truck, or toward the rear of the truck. 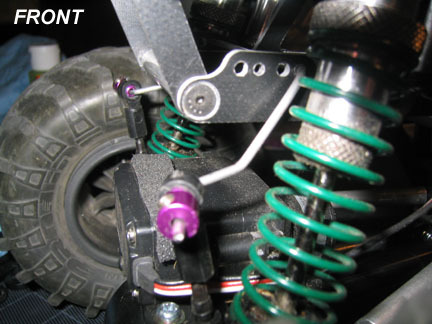 Fidning the correct mounting method depends on your suspension set up (shock attachment point, shock length and wheel base). 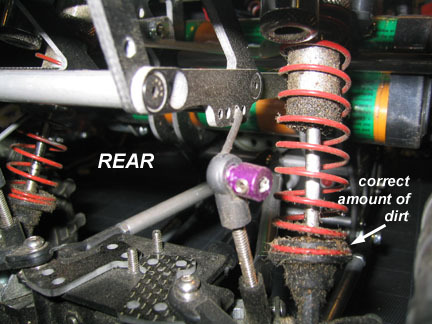 You may also need to adjsut the length of your threaded rod to accomodate your setup. The sway bar mounting plates have 4 holes on each plate for mounting the sway bar. The two smaller holes are for 1/16" (1.6mm) bars, and the two larger holes are for 3/32" (2.4mm) bars. 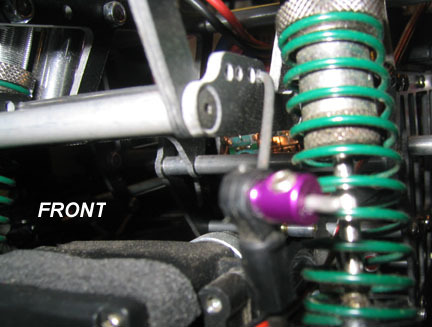 To attach the bars: Slide the sway bar into the mounting plates and feed the assembly through the chassis. Both moutning plates are attached to the outside of the frame rails with the countersunk side facing out. Then attach the assembly to the chassis with included hardware. See reference photos below. 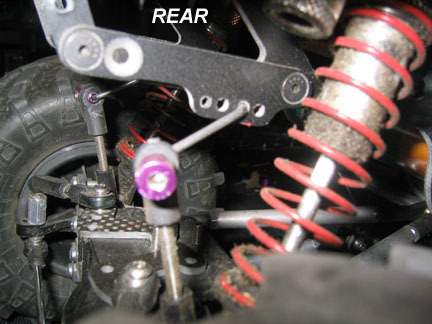 of the truck with the sway bar going through the second "small" hole with a 1/16" steel bar. front of the truck with the 1/16" bar going through the first small hole.